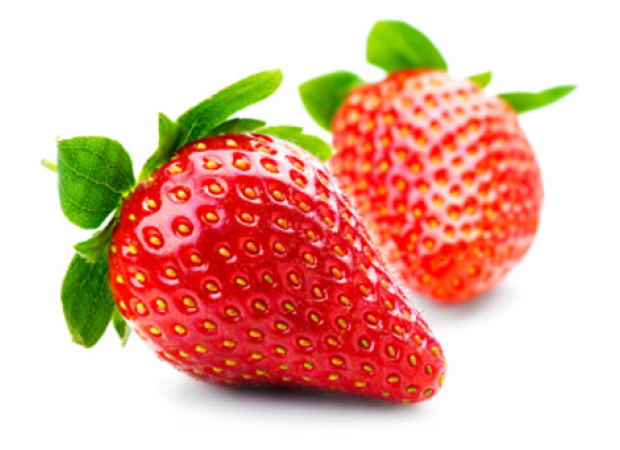 Strawberries are divided into two distinct categories: short day strawberries, also known as june-bearing strawberries, and day-neutral strawberries, also known as everbearers. 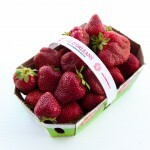 Short day strawberries come from a strawberry plant that we plant in the spring and harvest the following year. This kind of plant can be harvested more than a year, depending on the state of the field. Day-neutral strawberries come from a strawberry plant that we plant very early in the spring and harvest from two months after plantation until the first frost in October. Usually, this kind of plant lasts only one year and requires a lot of attention throughout its growth. 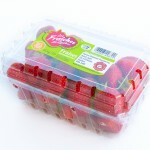 We can now offer strawberries from the beginning of June until the end of October: The short day strawberry is still traditionally offered from mid-June to mid-July and due to new production techniques, the day-neutral strawberry is available from June until October. Even in jam, strawberries keep their antioxidant properties: although the cooking reduces the effect of flavonoids, the weakening of the cell structure of canned fruits allows your organism to easily use its antioxidants. 90 grams of strawberries (around seven average size berries) contain only 29 calories. Seven strawberries contain more vitamin C than an orange. 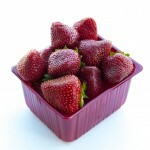 Strawberries are an excellent source of potassium and a good source of magnesium. 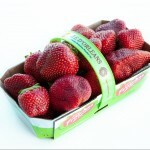 Strawberries are a good source of folic acid (B9 vitamin). Réfregirator. Two or three days. Avoid piling them and only wash them at serving time. Wash them off quickly, keeping their stalks so that they don’t soak up water. Drain, remove the stalks and serve as soon as possible. Also, avoid airtight packaging… the fruits must breathe. Freezer. Wash the fruits in iced water, remove the stalks, drain them and place them spaced on a plate. Freeze them quickly in the coldest part of the freezer. Then place them in a freezer bag, ideally on one layer. It is also possible to roll them into sugar before freezing them the same way. To defrost, spread them in a single layer on a plate and eat them as soon as possible. You will find our products in many supermarkets such as IGA, Provigo, Maxi, Metro and SuperC. If our products are not available at your local grocery store, ask for them! It is also possible to get our fruits directly at the farm, at the Île d’Orléans.